Hospital outpatient prices for standard blood tests, cancer screening and other services varied widely and were sharply higher, on average, than prices charged by ambulatory clinics and independent doctors, an analysis of autoworker health-plan spending across 18 cities has found. The study, based on 2011 health plan spending by Chrysler, Ford Motor Co., General Motors and the United Auto Workers, uncovered whopping price disparities for care that accounted for $68 million in claims that year, including blood work to test cholesterol levels, colonoscopies and physical therapy. Results, published by the National Institute for Health Care Reform, found hospital outpatient prices varied across 18 cities. Notably, hospital outpatient prices also varied widely among competitors within the same city. 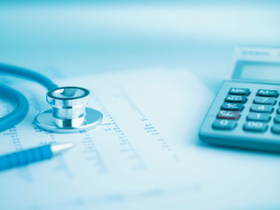 That suggests the force behind high hospital prices may be more than high overhead, said James Reschovsky, a senior fellow with Mathematica Policy Research and co-author of the study. Instead, hospitals with more market clout may be using leverage to set higher prices. “We believe that a large part of the difference in the pricing is the fact that the hospitals can get away with charging higher prices,” he said. The results are particularly worrisome as a growing number of hospitals acquire physician practices and ambulatory clinics, he said. Community clinics and independent doctors lack leverage, and their prices varied less within each city. “They are somewhat at the mercy of what the health plan is willing to pay,” he said. Sicker patients also can cost more to treat, raising prices. But the study found no difference in the extent of sickness for patients who received magnetic resonance imaging of the knee or colonoscopies, regardless of the treatment location. Hospital patients that received standard blood tests—metabolic panels, lipid panels and complete blood counts—were worse off health-wise than those in ambulatory clinics. But patients' illnesses should not affect the cost of such a standard and automated service, Reschovsky said. Physical therapy patients in hospital outpatient settings were also sicker than those treated in the community. The study pinpointed prices near the top (90th percentile) and bottom (10th percentile) of price ranges. Hospital outpatient prices, on average, were 52% higher than community prices for knee MRIs and ranged from $1,518 at the top to $513 at the bottom. The autoworker health plans spent $6.5 million on knee MRIs included in the study. Colonoscopy spending totaled $23 million in 2011 for the autoworker health plans. Average hospital colonoscopy prices were two times as high as ambulatory prices. The average hospital colonoscopy price was $1,383 compared with $625 in community clinics. The top hospital outpatient prices for colonoscopies, based on three diagnoses, ranged from $2,048 to $2,716 at the high end and from $890 to $1,256 at the low end. Blood tests spending totaled $12.2 million and prices set by hospitals were as much as 14 times greater than those charged by community clinics. For example, the price of metabolic panels for the costliest hospital outpatient laboratories was $103 compared with $15 among the top-priced community clinics. Hospital outpatient prices for therapeutic exercise were 41% higher than identical services in community clinics. Manual therapy prices were 64% greater for hospitals than ambulatory clinics. Such variation suggests significant potential savings for employers and policymakers, Reschovsky said. Strategies such as narrow health plan networks, tiered networks or reference pricing could help reduce variation, he said.